Today, in the Netherlands, you can get a Model T in any color you want as long as it's orange! Today is the Dutch national holiday (King's Day, the birthday of King Willem-Alexander). The whole country takes to the streets to celebrate. The Dutch flag is red, white and blue, but the national color is orange (the Royal Family is the House of Orange). 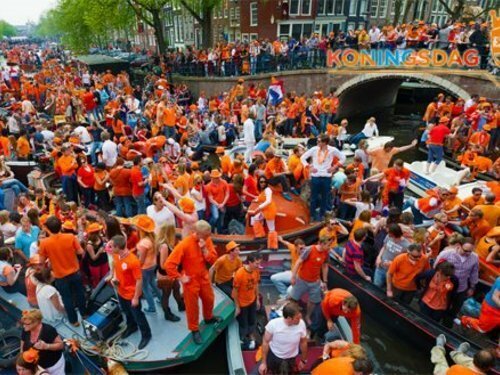 Most people wear orange and there are huge street parties. That's what prompted me to adapt the old saying about Model Ts and black. Looks like a pumpkin exploded! With TRUMP in the brightest orange. Dave, I avoid politics on this forum. Then you went and introduced it into my thread. Thanks (for nothing)!